Oak Software are the developers of Oak.SUBSCRIBE, a powerful subscription management system including a fully integrated online shop. Oak.SUBSCRIBE is aimed at both the SME and corporate markets and is fully scalable with a range of options and modules to match your business needs both now and in the future. A full range of subscription types, either paid or controlled circulation, suitable for print and digital issues or date based for premium web content. Order processing facilities for the sale of non-subscription items such as books, DVDs, event tickets, etc. A fully integrated online shop providing online customer account and subscription management. Online validation for digital issue and premium web content subscriptions providing instant access for new subscribers. Pro-active marketing and targeting capability based on customer criteria and transaction history data using Oak.SUBSCRIBE’s unique Campaign Wizard. Oak also provide a full range of implementation services including data conversion from an existing database, system set-up and training to ensure that you are provided with an efficient, optimised system that meets your requirements. Many of Oak’s customers now benefit from our multi-featured integrated ecommerce webshop that is perfectly tailored for subscription management and merchandise sales. Each webshop is designed to match your web page styles and subscribers can manage their customer account information and subscriptions online. Our web technology also offers a number of solutions to accommodate the sale and access verification of digital subscriptions, digital issues, archive material plus the fulfilment of digital download material. 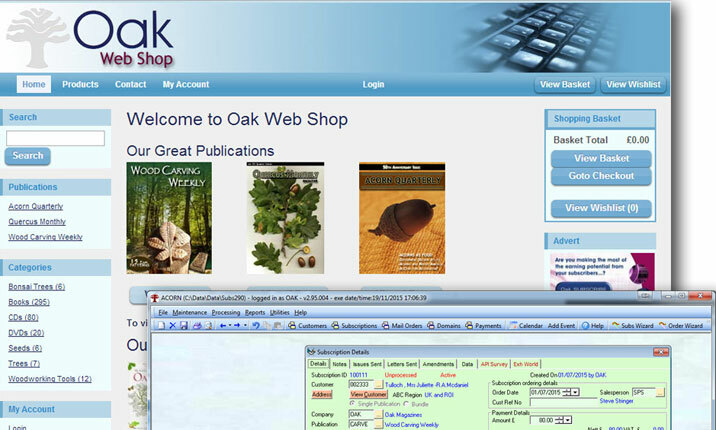 The webshop is maintained directly within the Oak.SUBSCRIBE system providing a single facility to add and amend subscription and product offers. Publisher generated subscriber offers, promotions and special discounts. Ability to sell both products and subscriptions (including direct debit) from within the same shopping basket. Event Ticketing Sales including delivery of e-tickets to customers. 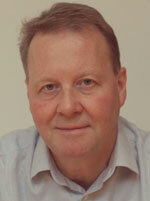 Digital delivery of content such as pdf articles, podcasts and videos.